Hanoi (VNA) – Singers, aged 18-35, from ASEAN countries and China, the Republic of Korea and Japan will join the ASEAN+3 Singing Contest which will take place in the central province of Thanh Hoa from August 17-21. 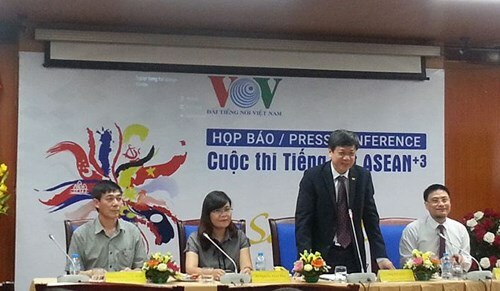 Deputy General Director of Radio the Voice of Vietnam (VOV) Vu Hai said on August 7 that the event affords singers from ASEAN and China, the Republic of Korea and Japan a chance to join cultural exchange, contributing to fostering friendship among nations. The final round will be held on August 18-20 and live broadcast on VTC1, VTC3, VOVTV, VOV3, VOV5 channels. The organising board will present one first prize, two second prizes, one third prize, one consolation prize and supporting prizes to outstanding performances. Contestants will also be invited to visit natural landscape complex Trang An in the northern province of Ninh Binh, one of Vietnam’s world natural and cultural heritages recognised by the UNESCO. The event was organised by VOV to celebrate its 72nd founding anniversary and the 50th anniversary of ASEAN.